Mary Pecker is a Certified Public Accountant with over 30 years of diversified experience. 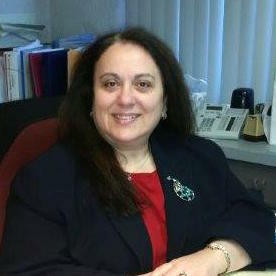 She started her career in government as an auditor for the Office of the New York State Welfare Inspector General. Mary continued her career in public accounting with a concentration in small business tax and accounting services. Her specialty is in tax planning for high net worth individuals and closely held businesses in a variety of industries including manufacturing, real estate, construction and healthcare. Mary assists clients in structuring shareholders’ agreements, practice valuations and mergers and is available to represent her clients in the event of Internal Revenue Service, State and Local inquiries. She is highly regarded and trusted by her clients who work closely with her to meet their financial and tax planning needs. Mary was a partner of Malakoff, Wasserman and Pecker CPA, PC before the firm joined Shalik, Morris & Company, LLP in June 2015. Mary received her Bachelor of Science Degree with a major in Accounting from Brooklyn College of the City University of New York. She is a member of the American Institute of Certified Public Accountants.